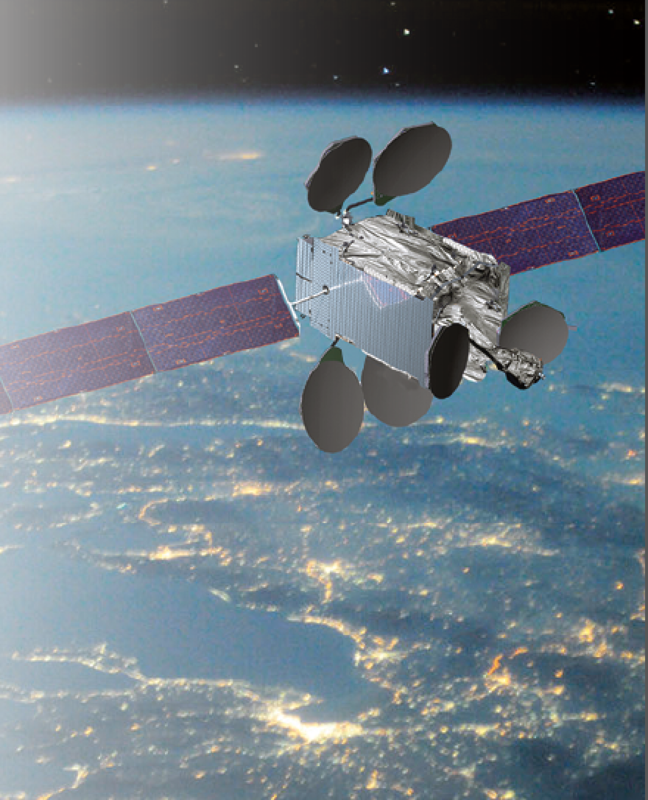 Artistic rendition of an Intelsat EPICNG satellite. These next-generation satellites provide far more throughput than existing wideband satellites, with increases in throughput 2 to 6 times the bandwidth equivalent of conventional commercial or Wideband Global SATCOM (WGS) satellites. Moving to HTS in space in many ways is like the move of terrestrial networks from dial-up to broadband access. The United States government stands to greatly benefit from these new HTS constellations, but decision makers need to understand the pros and cons of the individual HTS designs. Many HTS operators developed their HTS platforms as closed systems, with purpose-built solutions servicing homogeneous sets of users via a specific architecture. These closed networks include ViaSat Exede, Inmarsat Global Express, Hughes Jupiter, and Eutelsat KA-SAT. Closed vs. open architecture is a very important distinction. Closed systems dictate to the end users which terminals and teleport locations must be used. They also require new investments in proprietary modem technologies and service architectures. As the provider’s infrastructure must be used, confidentiality-of-data and quality control issues come into play. For these and other reasons, most government SATCOM networks cannot migrate to a closed architecture. Fortunately, open HTS architectures are now being deployed today such as Intelsat EpicNG, Telesat VANTAGE, and Inmarsat High Capacity Overlay (HCO). These architectures are much more appropriate for government missions because they allow the use of existing government-owned terminals and teleports. Intelsat EpicNG supports a wide range of communication topologies and allows the military to leverage the Ku-band antenna/modem infrastructure already in place across the Department of Defense (DoD) including manpack, flyway, Communications-On-The-Move (COTM), airborne, and unmanned aircraft systems (UAS). This ability to use current ground equipment leads to substantial cost savings for the government customer, and can be leveraged in many ISR applications to support new light-footprint CONOPS that do not require onsite Ground Control Stations. Recent testing done by the U.S. Marine Corps (USMC) with Intelsat EpicNG demonstrated the efficacy of open HTS. The Network Centric Waveform was designed to dynamically optimize bandwidth and satellite utilization, providing efficient SATCOM capabilities for WIN-T Increment 2 while both at-the-halt and on-the-move. In October 2016, the USMC and the Navy’s Space and Naval Warfare Systems Command (SPAWAR) conducted testing to evaluate HTS technologies to support these Networking-on-the-Move (NOTM) requirements at Camp Lejeune, North Carolina. USMC typically deploys with two types of key SATCOM assets: the Point of Presence Vehicle Kit (POP) and the Tactical Entry Point (TEP) Modem Kit (TMK) for a 2.4 meter Small Tactical Terminal. Using the General Dynamics 20-20M SATCOM-on-the-Move (SOTM) 20-inch antenna and the L-3 Linkabit MPM-1000 Net-Centric Waveform (NCW) modem in the POP and TMK units, the test was set up in two phases: normal operations on a typical wide-beam satellite (Intelsat Galaxy-3C) and enhanced operations on an open architecture high throughput satellite (Intelsat-29e). 256 kbps from one POP to the TMK. Due to the small size of the SOTM antenna aperture, the POP node had to operate at a modulation and code rate of BPSK1/2spread 12 times in order to establish communications. This means the 256 kbps return link occupied 7.5 MHz of bandwidth alone. In the 9.7 MHz allocated to testing, this limitation severely impacted the amount of bandwidth available for higher burst rates from the TMK to the POP. When operating over Intelsat-29e HTS, USMC users were able to achieve a total simultaneous throughput capacity of approximately 9 Mbps using the same 9.7 MHz of allocated bandwidth. This represents approximately five times more throughput versus the less than 2 Mbps in the same amount of bandwidth on traditional wide-beam satellites via these VSATs. Currently, there are five Intelsat EpicNG satellites on orbit covering approximately 80 percent of the Earth’s landmasses and littoral waters with high throughput beams. With its launch in 2018, the sixth EpicNG satellite will cover Australia, the Pacific Ocean, and McMurdo Station in Antarctica. These areas represent the majority of the ground mobile, fixed site, air traffic, and naval operating lanes. 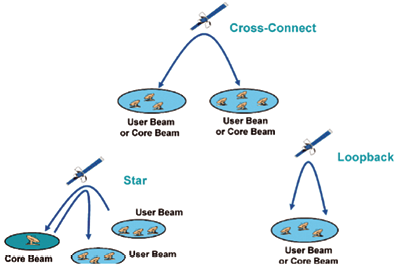 HTS systems offer quantum leaps forward from the satellite communications of today, but users need to look carefully at the overall designs of the various constellations. Unlike closed systems, Intelsat EpicNG was designed to take full advantage of this next-generation in space-based communications while maximizing the continued use of existing investments. EpicNG uses the enhanced Next Generation WGS Boeing digital payload, which enables Intelsat to offer communications from any beam to any beam, even across frequency bands. This digital switch enables Intelsat to offer communications from any beam to any beam, even across frequency bands. For example, on IS-37e, Intelsat could uplink a signal from a Ku-band spot beam in Bahrain and route that signal through the digital switch to a C-band downlink in the Falkland Islands or anywhere else in the footprint of the satellite. For these reasons, open architectures such as that offered by Intelsat EpicNG are the right HTS choice for the DoD. 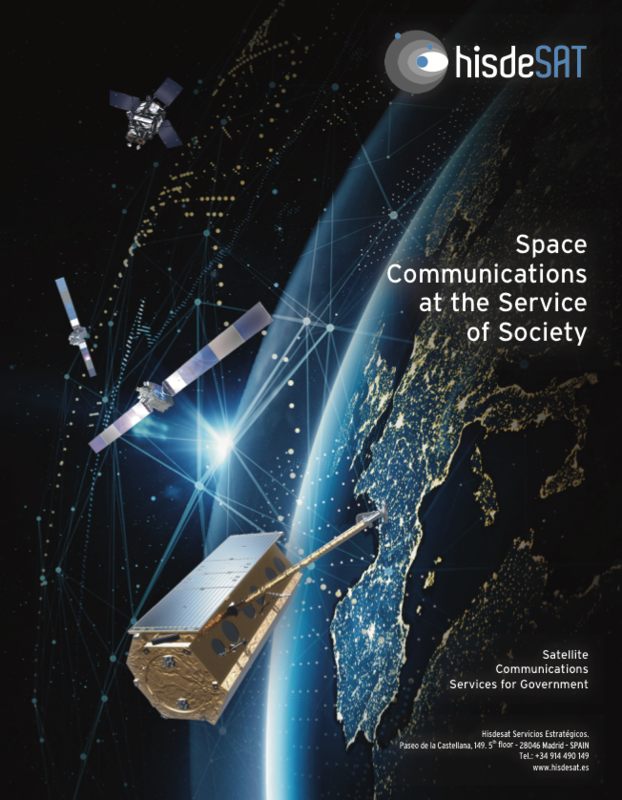 It provides the most compelling value proposition for government customers, and will play a large role in keeping the United States ahead of potential adversaries in space.